1. Insecticides are designed to kill insects. Bees are insects. Insecticides kill bees. 'Bee-friendly insecticide' is an oxymoron. 2. Modern insecticides are extremely powerful. Some of them are capable of killing bees in dilutions that are barely detectable by the latest analytical equipment, and have been shown to cause disorientation in bees, likely to result in death, in dilutions that cannot currently be measured. 3. Of the four insecticides endorsed by the BBKA as 'bee-friendly', three are among the top five most toxic in their class. (see Dr Doeser's report). Deltamethrin was introduced around 1984. The 48-hr contact LD50 for honey bees is 1.5 ng/bee (highly toxic). Cypermethrin was introduced around 1977. The 48-hr contact LD50 for honey bees is 20 ng/bee (highly toxic). 4. In the UK, annual spraying of the 4 endorsed pesticides covers an area one and a half the times the size of Wales. 5. The BBKA appears never to have issued any public statement that is critical of any pesticides or pesticide manufacturer. 6. The BBKA has never issued any statement in support of the organic movement in general or the Soil Association in particular, despite the apparent logic of allying themselves with those who are working for an overall reduction in the use of pesticides in agriculture. Instead, they have allied themselves with those who have a vested interest in increasing the use of pesticides. 7. The BBKA failed to support their colleagues in Germany, Italy, France, Spain and Belgium in a call for the systemic, neurotoxic, neonicotinoid insecticides Imidacloprid, Fipronil, Thiamethoxam and Clothianidin to be removed from the European list of permitted agricultural chemicals. 8. The BBKA failed to support their German colleagues following the disastrous incident in May 2008, when millions of bees were killed by Bayer's neonicotinoid pesticide Clothianidin. 9. The BBKA did not consult its members before accepting donations from agri-chemical companies in return for use of the BBKA logo. 28 Jan 2012 In response to damning evidence from top US researchers that tiny amounts of neonicotinoids kill bees, the BBKA published this limp and gutless response. In a move to distract attention from the growing mountain of evidence that their neonicotinoid pesticides are poisoning bees and contributing to the widespread destruction of many species of insects, birds and other wildlife, Bayer is cynically debuting a so-called Bee Care Program in a lame attempt to persuade people that they actually care about the health of bees, rather than their own obscene profits. 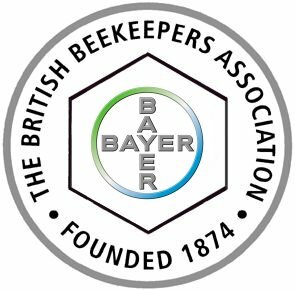 Since 2001, the British Bee Keepers Association has been receiving in the region of £17,500 per annum from pesticide manufacturers Bayer, Syngenta, BASF and Belchim in return for the BBKA's endorsement of several insecticides as 'bee-friendly'. The BBKA policy of accepting money from such corporations, taken without consulting the membership, has been condemned by many of its members, other European bee keeping associations and some NGOs as unethical. While the Executive have now changed their mind again and claims to have dropped the direct endorsement of pesticides, they have not ruled out accepting money from pesticide manufacturers under other pretexts. And there are still some very important questions that remain unanswered for British beekeeping. We call on the BBKA to sever all financial ties to manufacturers, sellers and promoters of any substance known to be or likely to be toxic to bees or other insects. (1) When the BBKA Executive made the decision to endorse the initial four insecticides, what due diligence procedures did it employ that led to the conclusion that these insecticides were 'bee-friendly'? Did the manufacturers provide peer-reviewed, independent research to back up their claims? (2) Was the Executive aware, for example, of the research (i) published in 1995 - 6+ years before the decision - that demonstrated deltamethrin (one of the endorsed pesticides) to be deadly to bees, even in extremely small doses? And the research (ii) published 1993 that clearly states 'Cypermethrin is highly toxic to bees'? (3) If the Executive was aware of this research, what led it to ignore or override its findings? (4) If the Executive was not aware of this research, does it still consider that it undertook due diligence before endorsing these pesticides? (5) Did the Executive, during the subsequent years of endorsement, keep a review on published research about the endorsed pesticides? (6) And is the Executive familiar with the research (iii) published in 2005 that shows both cypermethrin and deltamethrin to be 'highly toxic to honeybees'? If not, please review your answer to Q5. In the light of this review, do you still think you made the right decisions? And will you be taking up Dr Doeser's generous offer of expert help and advice in such matters? (b) reckless in their endorsement of products known to be toxic to bees. Which do you consider to have been the case? (b) BBKA members are not again embarrassed by having to apologize to the rest of the world for being represented by a body that endorses bee-killing chemicals? (c) Members of the BBKA Executive, whether elected or co-opted, make a full, public declaration of any financial, academic or research interests that they hold in partnership with pesticide companies, the agricultural, pharmaceutical and food industries, - or any other industry that could be deemed a conflict of interest. (d) BBKA supports the organic/pesticide-free farming movement, including the Soil Association, the Wholesome Food Association, Garden Organic and the Biodynamic Agricultural Association, in their encouragement to farmers to use non-chemical growing methods? Following the ADM on 15th January, BBKA spin doctors posted this message on their site. What they failed to mention was that the executive pre-empted the motion from Twickenham BKA and forced a change to the wording, which, had it been voted through, would have stopped them accepting money from pesticide companies under any pretext. They have thus demonstrated that they have no intention of cutting financial ties with these corporations. When exactly did they withdraw from the endorsement contracts? Why are they refusing to let the membership have sight of the contracts? Citing 'commercial confidence' isn't sufficient. Why do they refer to the pesticide manufacturers as the 'crop protection' industry? The BBKA has no mandate or responsibility to promote the agri-chemical industry. Why do they not publicly and formally support the other UK, European and international agencies (environmental & apicultural) in calling for a ban on the use of neo-nicotinoids, especially in the UK? Due to persistent spamming and hacking attempts, the guestbook has been removed. Here are some of the comments received in support of our letter to the BBKA. PLEASE NOTE - In the entire time this message board was active, we did not receive a single comment in favour of the BBKA position. Marisa & Renato	Italy	http://www.rfb.it/bastaveleni	Hallo, we are two italian beekeeper, and we have start an hungry strike from the 4 of july in Turin against neonicotinoids that kill our bees. We cannot go on with this situation, it is from 2005 that we have problems, and now we are sure, we have done analisis and we have foud thiamethoxam on bees, larvaes, beebread! We ask for an international mobilitation to ban this kind of insecticides. Please help us with a signature on our website!!! Emily	Norfolk	I have just become a beekeeper and joined the bbka. I read the excellent book "A spring without bees" so you can imagine my confusion when in my membership pack from bbka there was a leaflet called "bee safe bee careful when using insecticides" sponsored by the Crop Protection Association. Apparently they..."represent members active in the manufacture, formulation and distribution of pesticide products in the agricultural, horticultural, amenity and garden sectors." The leaflet is like a wolf in sheeps clothing. They sound so concerned about the problems bees are having and talk about how important they are. They make sure to say that the problems are due to varroa destructor and nosema, and their wording in places is so manipulative "the stewardship of such products (seeds covered with insecticide) is being closely monitored across Europe to CONFIRM (my caps) that there are no undesirable effects associated with the correct use of this development".I thought that there was quite a lot of evidence that these treated seeds ARE harmful to our bees. Dr Robaire Beckwith	Wales	I fully support the perspective presented in the letter regarding the involvement of pesticide manufacturers in the sponsorship of the British Beekeeping organisation. Keith Bowes	Great Massingham, Norfolk	mkbowes@yahoo.co.uk	I cried when I read the Open Letter to the BBKA. Adrian Fox	http://www.loire-gites.eu	As beekeepers in France we are well aware of the massive harm pesticides do to bees. There are products proven to be very harmful to bees but which are still being used due to the weak policy that says old stocks can be used up even though the product is now banned! Many French farmers just ignore guidelines about spraying in the evening and continue to spray crops in flower during the middle of a sunny day. When you protest to the local Mairie they don't want to get involved, especially in rural areas. Nicki Penaluna	France	As long as the BBKA has any connection with any pesticide company such as Bayer or their like, they are not representing the British beekeeper or the bees. Their only connection with these companies should be in the mode of protest letters and representation of beekeepers in getting these toxins banned outright. Petra Knowles	Scotland	Now that it has been shown that the BBKA's policy of endorsing pesticides was based on (a) maliciously inaccurate information from the manufacturers, and/or (b) a willingness by the BBKA executive to ignore toxicity data in favour of money, it is time to hold them to account. Which were they - greedy or stupid? Or possibly both? Did they blindly accept the pesticide salesmen's word that the pyrethroids they were asked to endorse were 'bee-friendly'? Or were they so keen to grab the money that they didn't ask too many questions? We also need to be told why the BBKA's chief technical advisor, Norman Carreck - believed by many to be the prime mover behind the pesticide endorsement fiasco - is so very keen on biotechnology, GM and pesticides, and so anti organic farming? Is this in any way connected with the sources of funding with his research? And talking of vested interests, what exactly is ex- president Tim Lovett's connection with pharmaceutical company Dermapharm, which has links with Bayer? Kate Canning	Hampton UK	below is what I've sent to all the UK beekeeping associations before the BBKA Annual Delegates Meeting on Sat 15 Jan 2011. Many beekeepers who will read it are firmly entrenched in a 'pro BBKA & pesticide endorsement' mentality despite all the evidence and ethical considerations, though quite a number have shifted their views in recent months. "On behalf of T&TVBKA and all the BKAs who have supported the cessation of pesticide endorsement by the BBKA, we are pleased to read in Jan 2011 Beecraft, that at last the BBKA have taken note of the members views and say that they are removing themselves absolutely from pesticide endorsement. However in 2010 alone, the Executive have issued at least 4 differing public announcements stating they were/werent/were/werent continuing with pesticide endorsement. .. which can easily lead us back to having yet more bee research paid for by agrichem companies and thus compromising that research, the BBKA & its members integrity yet again. Therefore any association relationship the BBKA may have with pesticide companies in the future needs to be clearly defined, discussed and assessed with regard to safeguarding against further loss of integrity. It is likely that the BBKA Executive will now say regarding their ADM proposition (which comes before ours) that they have publicly announced their withdrawal from pesticide endorsement and so our motion need not be debated at the ADM.
· The BBKA Executive have shown for over 10 years to be completely incapable of objective, good, long term policy making and stewardship in regard to endorsement for cash, the use of the BBKA logo and the reputational damage which the BBKA has sustained as a result of its blinkered thinking regarding to pesticide endorsement. They should have supported UK bees and beecraft and put their best interests first. They did not. Instead we now know where the BBKA led us. UK are Dirty Beekeepers of Europe indeed. · Constitutionally it is important for members of the BKAs to express their views on the pesticide endorsement issue and for these to be recorded so that the Executive have a clear mandate for a new strategic direction from the membership. The time has come for transparency and there are a number of questions which need answering about this issue. We look forward to the formal debate of our proposal at the forthcoming BBKA ADM on 15 Jan 2011 and to an outcome where the views of the body of individual members and the strategic thinking of the organisation become more aligned." (Note, the "crop protection industry" is actually the pesticide industry). Steve Mitchell	Cornwall	It's a travesty that an organisation that is supposed to be supporting bees & beekeeping in the UK should have ever taken up these endorsements in the first place. Barry Jackson	London	Now that Hilary Benn has not banned Neonicotinoids, it is fairly obvious that the BBKA has failed to support its members by remaining quiet, even sitting on the fence over this serious matter. Outrageous. David Stover	Richmond, VA USA	http://www.davidstover.com	This is my first year as a beekeeper. I'm using a Top Bar Hive and live in the inner city. I've noticed a few bees lately dying and struggling to fly. This does not seem to be an age related death though I am too unknowledgeable to really say what it may be. I watched the German video on this site and my bees here in the US have the same symtoms as the German bees in the video. Hopefully what I am seeing is not death by pesticide poisining. I want to thank BARB and Biobees.com for helping in my education of the lives of bees and how we humans can interact successfully with them. I applaud your work. Greg Hounsell	Kingston, Ontario,Can	I am flabbergasted at their actions. Let alone condone products that are not in the best interests of the groups mandate and sustainability of the honey bee. And taking money for it?? That totally destroys any credibility in my view. I find what is even worse how it came about and the fact they are not owning up to it and doing the right thing. independent French study found it had sub-lethal behavioural effects on bees at just 0.1 ppb - a dosage of 50-100 times less than the lethal effect. Foraging activity of bees is currently disturbed by treatments with pyrethroid agrochemicals. To discover eventual troubles of spatial orientation of the foragers, we exposed bees to sublethal doses of deltamethrin sufficiently low to avoid motor inco-ordination or muscular troubles. In an insect-proof tunnel, bees were trained to forage at a feeder 8 m from their nucleus. When temperature and global radiance conditions were optimal, some foragers were caught, exposed to a deltamethrin dose 27 times lower than its LD50, and released after 20 min of recovering. Among the contaminated bees, 54% took flight toward the sun and 81% did not come back to their nest within 30 s (which is 3 times longer than the mean time of control bees). Because pyrethroids are known to disturb learning and memory, we cannot conclude if this disorientation is due either to a trouble of information storage (wrong spatial perception or phototropism increase), or to a trouble of information retrieval (bad comparison of actual and memorized patterns). Routine chemical analysis of exposed bees does not detect residues of deltamethrin 3 hours after bee sublethal exposure, although bees evidenced alteration in the flight.